VT Halter Marine and Q-LNG Transport team members during start of construction of ATB Tug Q-Ocean Service and Barge Q-LNG 4000. 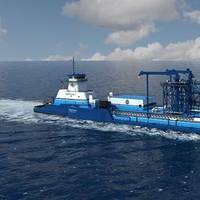 VT Halter Marine, Inc. (VT Halter Marine), a company of Vision Technologies Systems, Inc. (VT Systems), today held a ceremony to commence construction on America’s first Liquefied Natural Gas Articulated Tug and Barge (LNG ATB) unit. “We are honored to be able to celebrate the official start of construction on the first LNG Bunkering ATB unit ever built. Harvey Gulf International Marine (HGIM) is launching a new affiliate, Harvey Shipyard Group, to manage its shipbuilding assets, the company announced today. 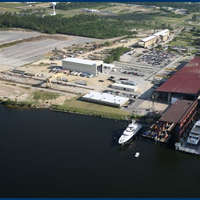 Harvey Shipyard Group is acquiring Gulf Coast Shipyard (Gulfport, Miss.) and Trinity Yachts (New Orleans, La.). HGIM Chairman and CEO Shane J. HGIM said it intends to work with its affiliates to catapult the Gulf Coast Shipyard, which constructed the nation’s first LNG OSVs for the offshore market, in addition to tank and hot oil barges. 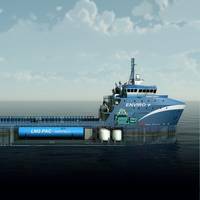 HGIM alone is investing $350 million to construct its dual-fuel fleet. Harvey Gulf International Marine LLC has received the first ABS Classification Certificate and the first USCG Certificate of Inspection for a vessel powered by LNG. 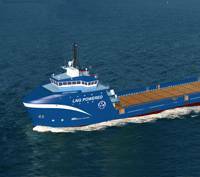 The M/V Harvey Energy is the first LNG powered vessel in service in North America. Last week, Harvey Gulf performed the first truck to vessel transfer of LNG, the first vessel to bunker LNG and was the first U.S. Flagged LNG powered vessel to enter into port while being powered by LNG. The vessel will be based out of Port Fourchon, La. and will immediately begin its long term charter role. Wärtsilä says it has signed a long-term Technical Management Agreement with Harvey Gulf International Marine LLC (Harvey Gulf). This five-year agreement covers Condition Based Maintenance & Dynamic Maintenance Planning for 8 offshore supply and multi-purpose support vessels – 6 liquefied natural gas (LNG) fuelled platform supply vessels and 2 offshore construction vessels powered by diesel fuel. The signed agreement ensures ideal running conditions and optimized maintenance for Harvey Gulf’s new vessels. 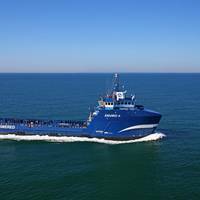 Gulf Coast Shipyard Group (GCSG) has launched of the first of six Harvey Gulf International Marine 302’ x 64’ Dual Fuel Offshore Supply Vessels. Incorporating breakthrough clean-burning LNG technology, these vessels position Harvey Gulf as the leader in the environmental application of liquefied natural gas and demonstrates GCSG’s ability to meet marketplace demand. Harvey Gulf CEO, Shane J. Guidry, comments, “Certification of these vessels will be made by the American Bureau of Shipping to achieve ‘ENVIRO+, Green Passport’ status. Harvey Gulf signs contracts to buld two additonal U.S. flag LNG-powerd vessels. 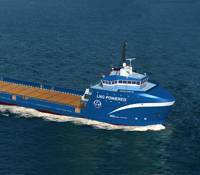 Harvey Gulf International Marine ordered two additional 302’ X 64’, Dual Fuel Offshore Supply Vessels, bringing its total order to four. The contract signed today with Trinity Offshore is a follow on to the first two vessel order placed in October of 2011. Trinity will build all four vessels at their Gulfport, MS shipyard where the first Harvey Gulf LNG Powered Vessel hull fabrication was started last week. Today, Harvey Gulf International Marine became the first U.S. vessel operator to contract for construction of vessels capable of operating exclusively on natural gas. The agreement is for two, 302’ X 64’, Dual Fuel Offshore Supply Vessels, with an option for a third. The contract was signed with Trinity Offshore, which will build the vessels at their Gulfport, MS shipyard. In addition to being powered by cleaner burning natural gas, the vessels will achieve “ENVIRO+, Green Passport” Certification by the American Bureau of Shipping. On July 28, 2011, Harvey Gulf International Marine’s Board of Directors approved the construction of the first United States-flagged LNG Offshore Supply Vessels. Harvey Gulf International Marine’s Chairman & CEO Shane J. Guidry stated that this is another example of Harvey Gulf’s commitment to meet its clients' future needs. 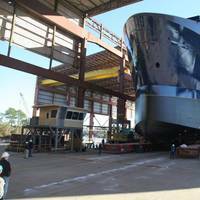 Guidry also said that a contract will be awarded to a US shipyard on or before August 28, 2011. 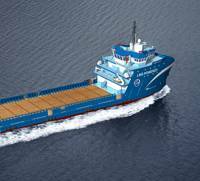 The SV310DF vessels, designed by STX Marine Inc., will be dual-fuel with LNG capacity for seven days with three engines at full RPM. Harvey Gulf International Marine, Inc. has announced the intent to diversify into a full service marine transportation provider. President and CEO, Shane J. Guidry announced that Harvey Gulf has entered into an agreement with Eastern Shipbuilding in Panama City, Fla., for the construction of six offshore supply vessels. Each will be ABS DP2 certified with capacities of 7,000 Bbls liquid mud, 9600 Bbls bulk and 3,300 DWT tons of cargo carrying capacity. 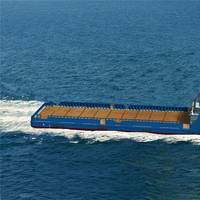 Harvey Gulf will soon go out for new construction bids of four 200 ft. platform supply vessels for the shelf market. Harvey Gulf has also accepted delivery of its new build tug, the M/V Harvey Thunder, a 13,500 hp sister vessel to the M/V Harvey Intruder. Its expected delivery date is November 15, 2001. Harvey Gulf Intl. recently took delivery of Harvey Provider, a unique 240 x 56 x 18.5 Offshore Service Vessel (OSV) which is classed by ABS as Maltese Cross A1 Ocean Service Dynamic Position Level 2 (DP-2). Harvey Provider is the first of six vessels, and the DP-2 certification means that it can transport a full load of cargo (approximately 3,000 tons) in and out of most of South Louisiana, Texas and Alabama ports, not restricted exclusively to deepwater ports. Harvey Provider is special because of its navigational capabilities per its DP-2 certification, a designation which dramatically expands its scope of operation, and hence, revenue. The vessel is built to carry an incredible load, with a clear deck space measuring 175 x 56 ft. (9,800 sq. ft.), able to carry 2,352 short tons.